My first thought, 'Yes they did it again!'. BE creative makeup released a limited edition collection for this spring, the BEdazzling baked spring collection. I adore it! The thing that caught my eye in store immediately, the packaging. It looks so colorfull and girly. I really gives me a summer (or should i say spring?) vibe, and that was the purpose of this collection. 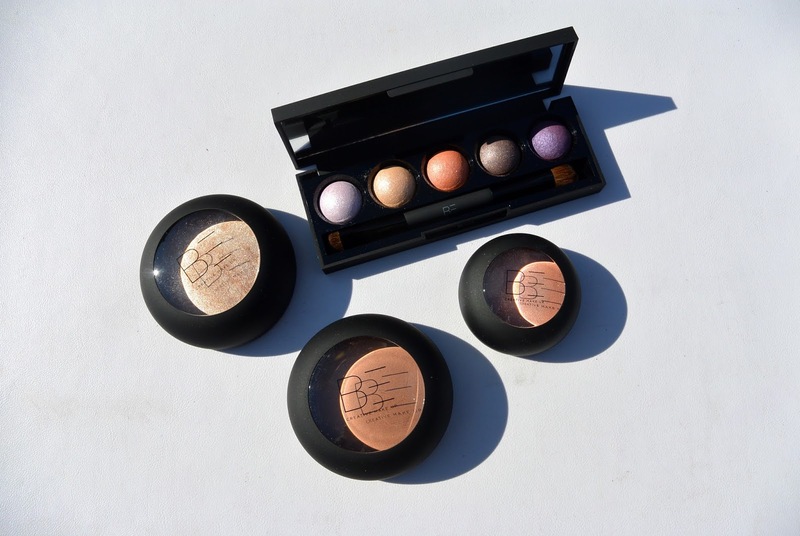 The first thing in this collection: the baked highlighter. 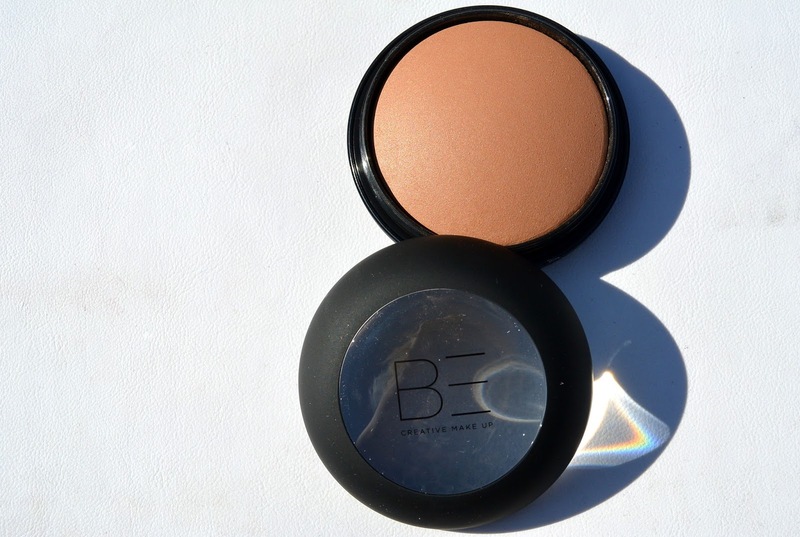 I must say, this is one of the best highlighters I have in my makeup collection. 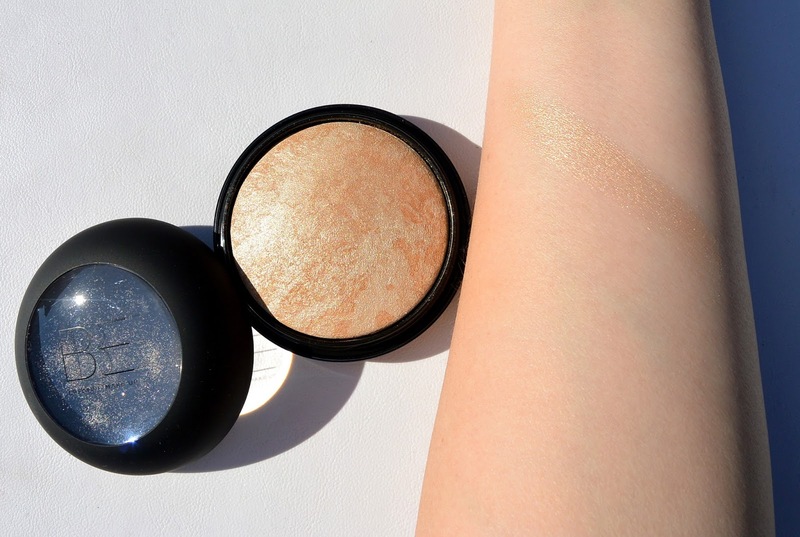 It has a very nice glow and it is exactly what I expect from a highlighter. Take a look at the swatch. 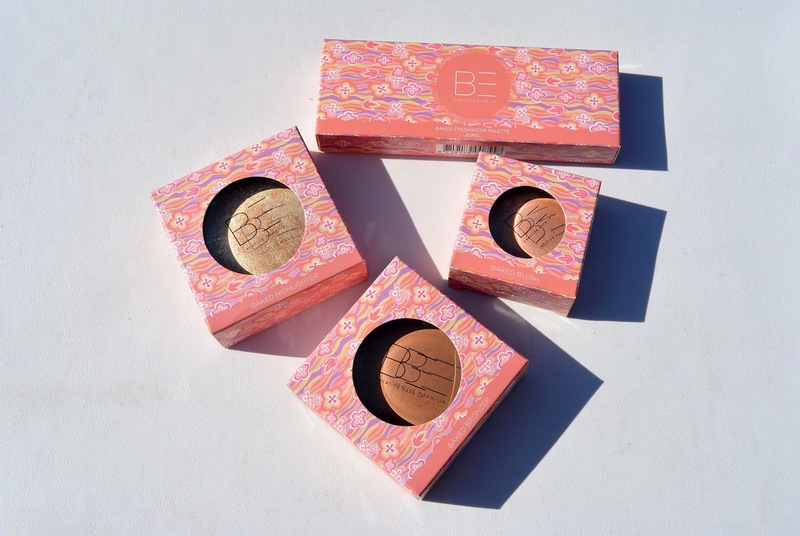 Next product in this collection is the baked bronzer. 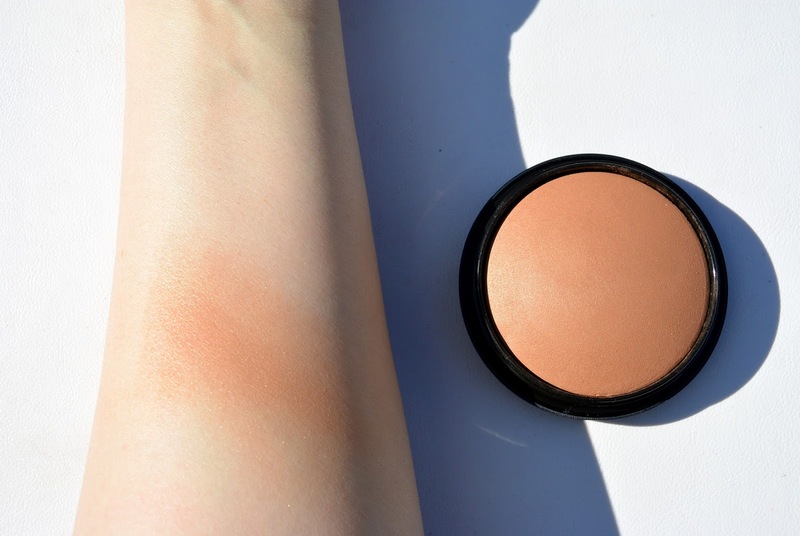 For me the bronzer is a little bit too 'orange', but I have a very pale skin so for the most of you this bronzer would be perfect. As I said this bronzer is too 'orange' for me, but I do use it as a contour under my cheekbones. I don't want to let this product go to waste. 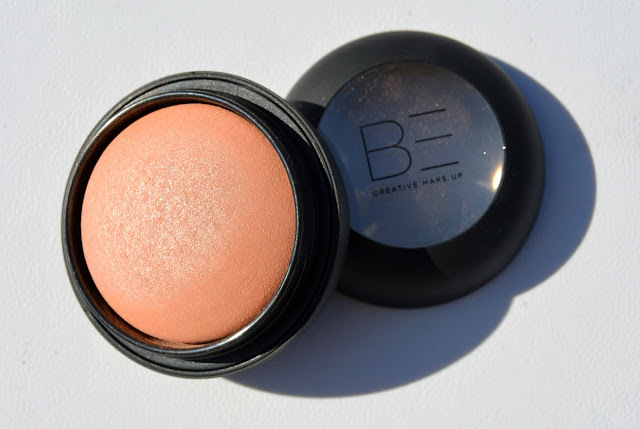 Third product to show you is the baked blush. I bought myself the 'peachy' color but there is also a more 'rosé' one. 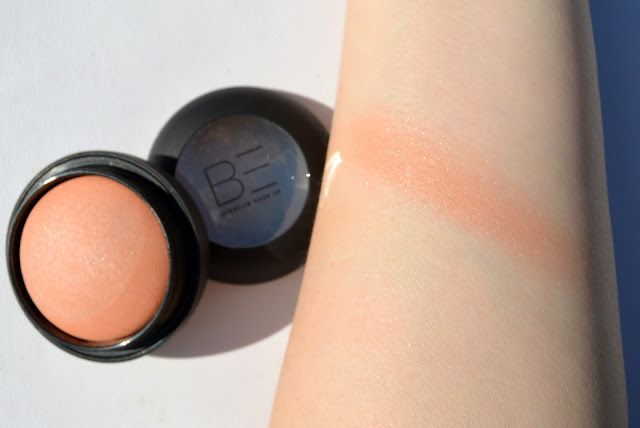 This product is really amazing, it is perfect for me and suits a lot of people because this is really an 'allround' color. Go and get yours too! Lastn but definitely not least is the eyeshadow palette. It comes with a double eyeshadow brush. This palette include all the colors that are trending right now. 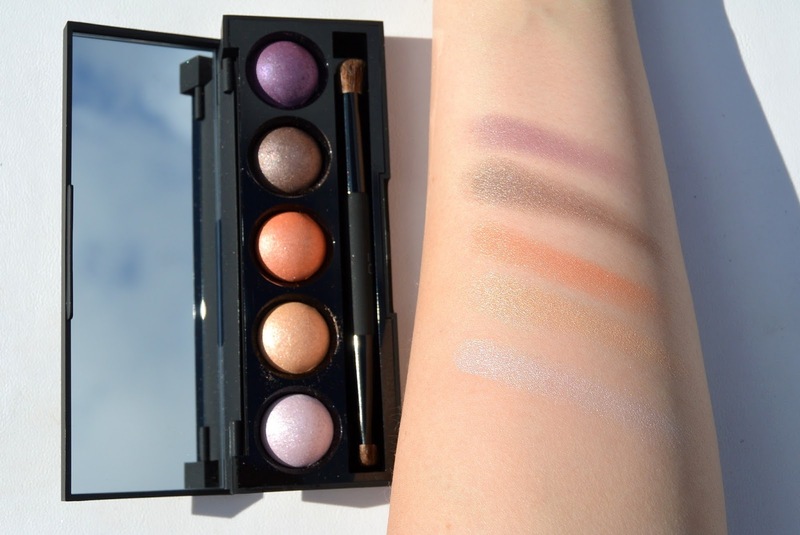 I made my picture of this palette with the blue sky reflectng in the mirror, it really gives me a spring-feeling. The colors are very pigmented and I would recommend this palette to everyone. 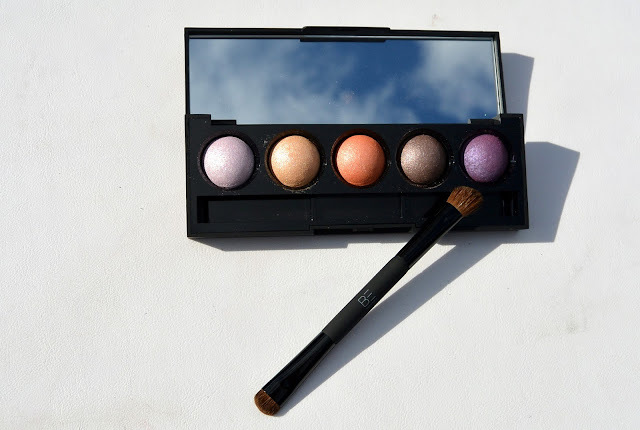 This eyeshadow palette is also easy to take on holiday because of the mirror and brush that are included in this palette. All this products can be bought at Ici Paris XL (BeNeLux) and in their webshop. What is your favourite product in this collection? Wow de kleurtjes van de oogschaduw zijn zo mooi! Hebben! Mooie verpakkingen, heel lente/zomers zelfs! Oh, all of these beauty products look fantastic! Love the colors! The eye shadow palette looks great. It's perfect for spring. 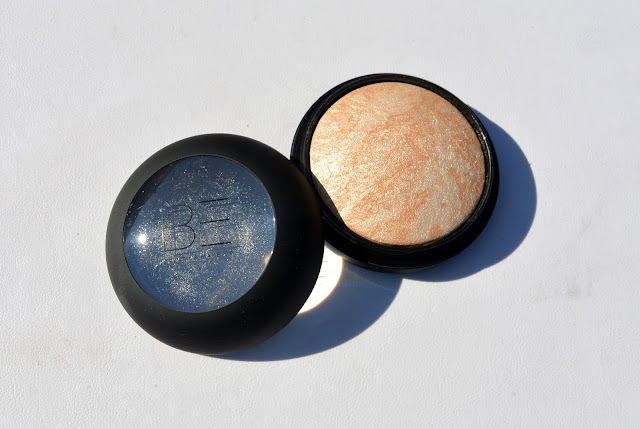 De highlighter is geweldig! Ik zag hem enkele maanden geleden in preview en vond toen ook al dat BE dat supergoed gedaan had. En echt niet duur voor zo'n highlighter. wow ! so so pretty shades. Are they available in India Also?